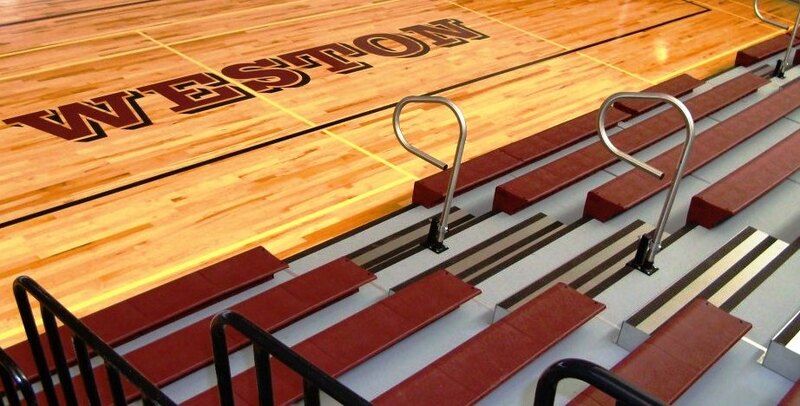 Gym Mats » Royal Stewart Ltd. The only time it's okay to get walked all over is if you're a mat, like our all- purpose gym mats. 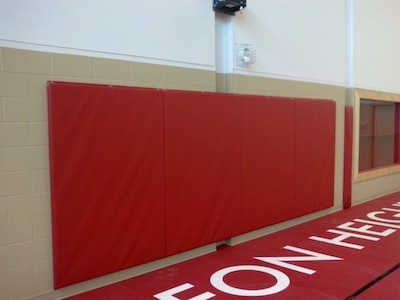 Do you want a collegiate 4’ x 6’ x 2" urethane mat with four Velcro sides and 18oz vinyl? Of course you do, you cool cat you. So lay that down like a good beat and do your yoga in style. Need a little more cushion for the push-ups? Well, maybe the collegiate 4' x 8' x 2" is just the right fit. Royal Stewart is about value and variety to make sure you are comfortable and safe in all that you choose to do. No one will want to skip stretching because not only do we ensure durability, it's the overall quality of our mats that simply won't let you down. A matter of fact, they might make it even harder for you to get up. And don't even think of leaving that little slice of urethane heaven on the floor after it saved your tailbone from torture! The least you can do is hang it up on one of our mat hangers. If the aluminum rail and 10' Velcro is what you have been searching for your whole life, look no further. We're happy to provide it as a set or as an individual item; whatever it takes to keep that mat fresh and clean. As they say, once you go mat you never go back.